Local Moving Company 20636. Call us today for a free estimate! We've been helping families move for decades! 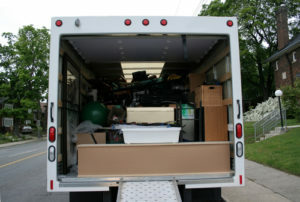 Have you been thinking about the stressful process of moving? Possibly you have been searching for a reliable company to help you. We are confident when we tell you, we can help! We have loved being able to help hundreds of families for decades move into their new homes. It can be a long process when we try to pack up and move by ourselves, but when you hire – Just Moving – we can get the job done quickly and efficiently! Hollywood, located in St. Mary’s County known for its place on the old trolley line to Washington and named for its collection of holly trees. You will find the town has modest ranch- and Colonial-style homes that were built mainly in the late 1940s and early 1950s. It is a growing area and we have been happily moving families into Hollywood Maryland for decades. If you want your next moving experience to be an easy one, give us a call! Our movers are prompt, skilled, cautious, quick and efficient. We treat your belongings as if we were moving our own. If you would like to more information or a free estimate- Contact Us Today!